Savour the quiet that echoes throughout the lush landscapes and pristine surroundings. Unwind in privacy within the desirable Tower residences or magnificent Strata Bungalows or simply revel in the bright lights of the big city. 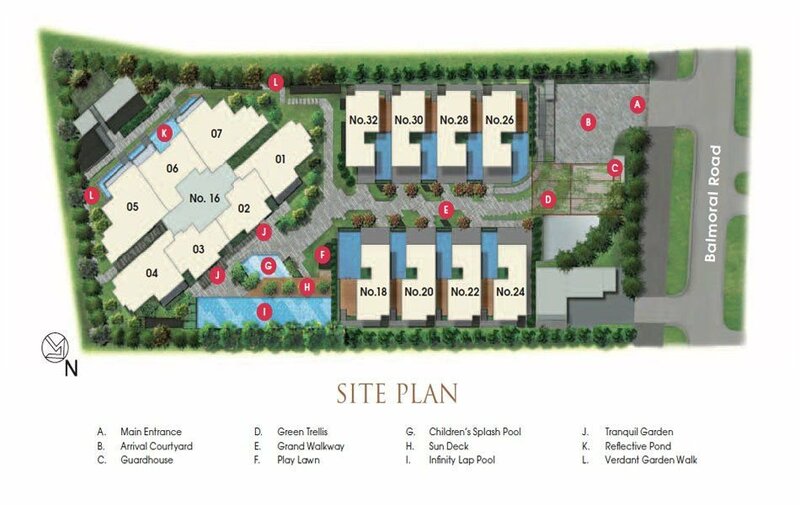 At Goodwood Grand, you’ll discover a verdant yet vibrant enclave in the heart of town; the city’s garden residence that’s yours to own. Nestled in an exclusive enclave on Balmoral Road, Goodwood Grand is a world like no other. 65 exquisite residences in the remarkable twelve-storey Tower and 8 lavish Strata Bungalows present the finest in sophisticated freehold living. Immerse in the luxuries of space, tastefully manicured landscaping and unobstructed views of the pristine Goodwood Hill in the privacy of your home. Best of all, the bright lights of Orchard Road lie just over the horizon, beckoning with designer boutiques and gourmet restaurants, and dazzling you with the promise of a vibrant urban lifestyle. Indulge in the best of both worlds. The pulsating city, Singapore’s most prestigious clubs, hotels and renowned schools are a mere stone’s throw away. 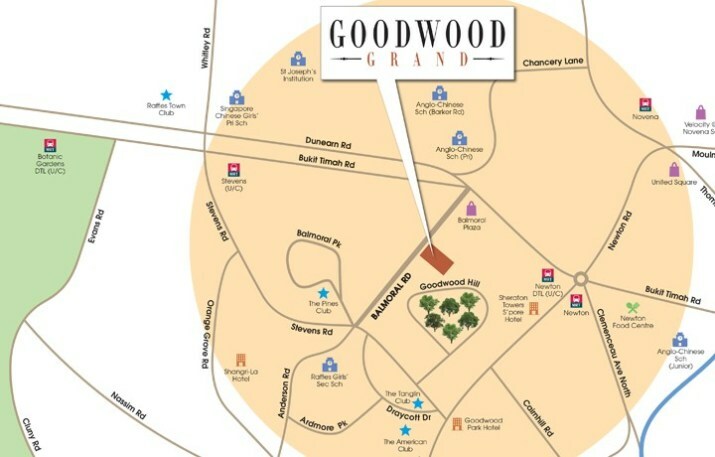 Located in the heart of District 10, Goodwood Grand connects you to brilliance and convenience on the grandest platter. The finest life, from the pizzazz of global fashion labels in the city, to premier events at exclusive clubs, is within reach. Newton MRT Station is also close by. Nothing is too far away. 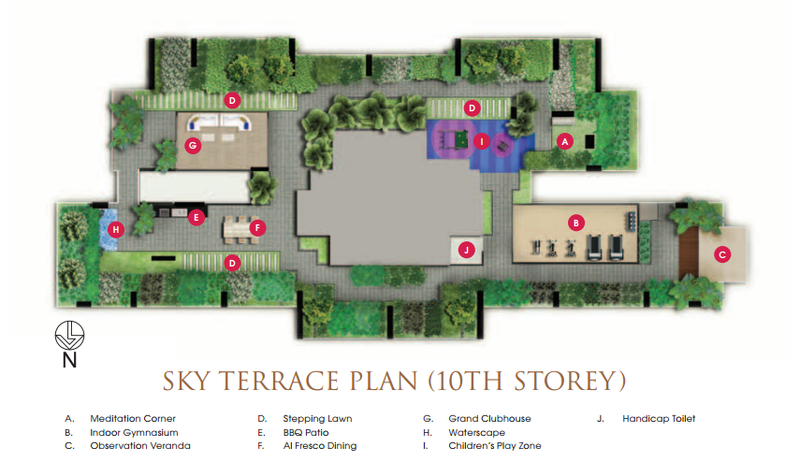 Prestigious and exclusive District 10 address along Balmoral Road. Unspoiled views of the verdant Goodwood Hill. Within 1km to renowned schools like Singapore Chinese Girls School (SCGS), Anglo-Chinese School(Barker Road), Anglo Chinese Junior School and Raffles Girls School. Singapore’s most luxurious hotels and country clubs are within the vicinity – Shangri-La Hotel, St. Regis Hotel, Grand Hyatt Hotel, Tanglin Club, The American Club and The Raffles Town Club. Posted in Singapore and tagged balmoral condo, condo in balmoral, Freehold condo, goodwood grand, strata bungalow.